Hilton Worldwide announced last week that it would be allowing guests to access their rooms via their smartphone at select brands in late spring of 2015. Hilton, which already allows for Hilton HHonors members to check in and choose their exact room through the HHonors app at five of its U.S. brands, has gone a step farther now. Simply hold your smartphone up to the door lock and your room unlocks. It’s an extension of travelers using technology more and demanding an easier check-in these days. In fact, the success of Hilton’s room selection option was one of the reasons why Hilton decided to move forward with mobile access to guest rooms. Since the launch of room selection in July, more than one-third of eligible guests have already used the service, and more than 90 percent said they were either “satisfied” or “extremely satisfied” with the option and would use it again, via guest surveys. 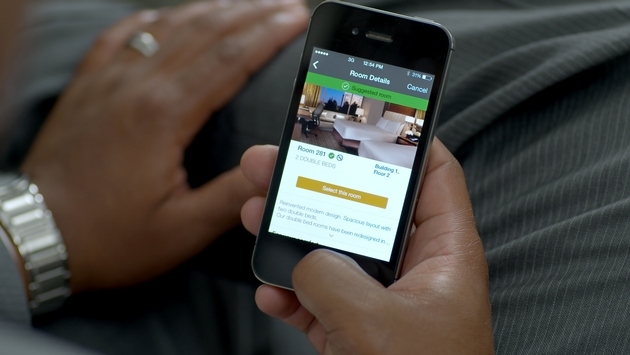 Hilton will begin pilot testing mobile room access at 10 U.S. properties in early 2015. 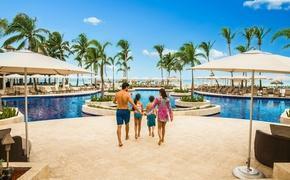 The service will be enabled at all U.S. properties at Conrad Hotels & Resorts shortly after testing. Rollout will continue across the U.S. properties of Hilton Hotels & Resorts, Waldorf Astoria Hotels & Resorts and Canopy by Hilton starting in summer 2015. Hilton plans to deploy the technology at 11 of its global brands by the end of 2016. For both hospitality companies and guests, technology has become vital. And while having the capability to deliver such a service is something in itself, the fact that Hilton can eventually offer mobile key entry across such a broad portfolio really has the company excited. “To be able to do these things at scale took a lot of work and a significant amount of investment, but it’s definitely paying off now and it’s been really well received,” Bomar said. In addition to allowing guests to enter their doors via a smartphone soon, Hilton will also allow for mobile check-in and room selection globally at more than 4,100 properties by the end of November, one month ahead of schedule. Frequent travelers and Hilton HHonors members like Bomar are welcoming the developments with open arms.